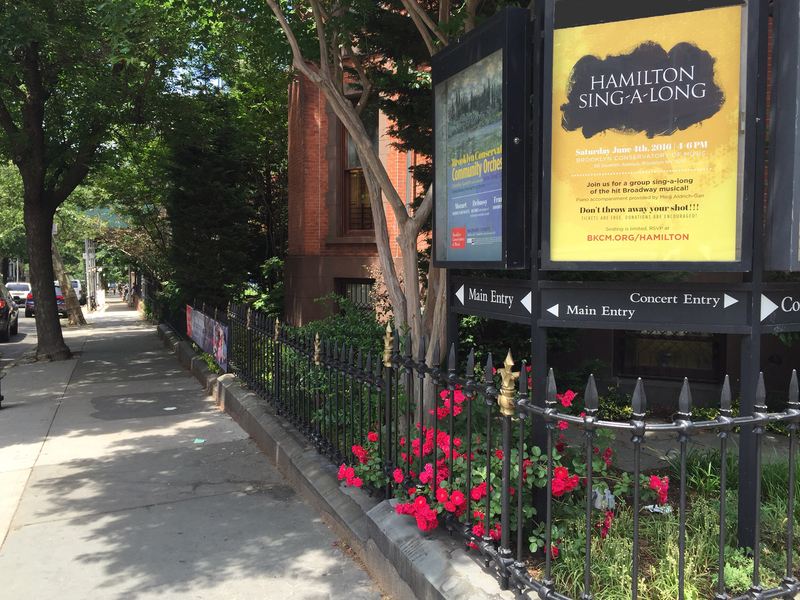 Hamilton Sing-A-Long at Brooklyn Conservatory of Music on Lincoln Place, between 6th and 7th avenues, Brooklyn, on Saturday, June 4 at 4pm. Photo courtesy Brooklyn Conservatory of Music. Not even Broadway is big enough for Hamilton the Musical — the Pulitzer Prize-winning musical by Lin-Manuel Miranda that has been nominated for a record-setting 16 Tony Awards. The hip-hop musical about Founding Father Alexander Hamilton has more fans than could ever fit in the 1,319-seat Richard Rodgers Theater on West 46th Street. The enthusiasm for the hit show has generated impromptu #Ham4Ham performances by Miranda and starry friends, and is spilling into street parties, karaoke lounges, and fitness studios (and theaters in Chicago and California; more on that, below). Here’s where to get your Hamilton jam on this summer and beyond. Saturday June 4, at 4 pm. Try not to lose your minds, Hamilton fans. If there’s one sing-along to attend this summer, it’s this Saturday’s HAMILTON Sing-A-Long Block Party being thrown by the Brooklyn Conservatory of Music that will shut down Lincoln Place in the brownstone neighborhood of Park Slope. Is there a stage where I have a chance to perform on solo? Check. Sign up on-site for a chance to be selected. Will someone from the musical be there? Yes, and your pipes and passion deserve nothing less than live piano accompaniment by Ming Aldrich-Gan, rehearsal pianist for Hamilton the Musical. How could this get better? Like this: Raffle tickets are being sold at the event and online for a pair of tickets to the Broadway musical, and a copy of the bestselling book Hamilton: The Revolution by Lin-Manuel Miranda and Jeremy McCarter. 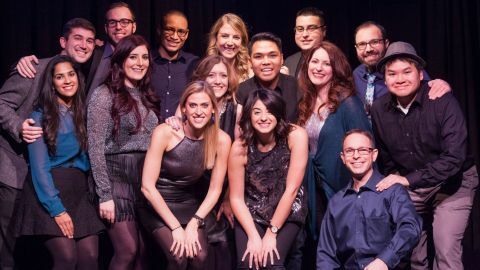 The event will include 17 songs from the official “Hamilton Vocal Selections.” Reserve now for both the free block party and ticketed after-party ($10; 6pm) as space is limited. You can download booklets with the lyrics from the Hamilton CD from the event page. Broadway Bodies class at Chelsea Studios at 151 West 26th Street New York, NY. To make it to Broadway you have to be a triple-threat: you’ve got the pipes, acting chops and moves. Broadway Bodies allows amateurs dance their hearts out to dance-cardio workouts built around favorite show tunes and movie musicals. One-hour classes and 90-minute workshops at their Chelsea studio are announced and open for reservations on the 15th of every month. Reserve now for one-hour Broadway Cardio classes set to upbeat Hamilton numbers like “Right Hand Man” (Saturday, June 4), “Helpless” (Tuesday, June 7) and “Yorktown (the World Turned Upside Down)” on Saturday, June 18. Teachers include the wonderful Michelle Potterf, who performed for nine years in Chicago as Go-to-Hell-Kitty and was the understudy for Roxie Hart. Don’t be intimidated by the resumes of the teachers — their classes are geared towards beginners. 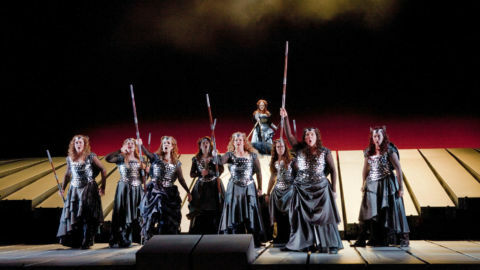 “We keep the choreography achievable,” says Alistair Williams, the executive director of the studio and director of a musical theater program at Rutgers University. 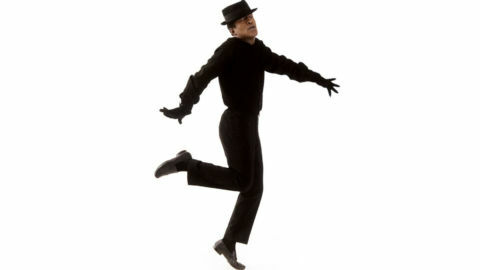 “For our 90-minute dance workshops, we use mnemonics to name moves, like ‘Around the World’ and ‘Cigarette Step. 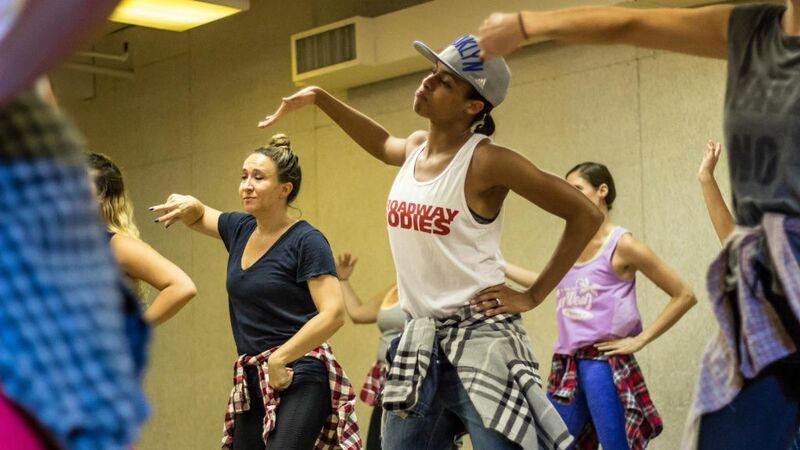 '” For Hamilton classes, teachers emulate what can be seen of the show on YouTube, and create original choreography as well. Row House NYC rowing machines in the studio. Have you ever seen long, skinny boats on a river, road in unison by a “crew” team? 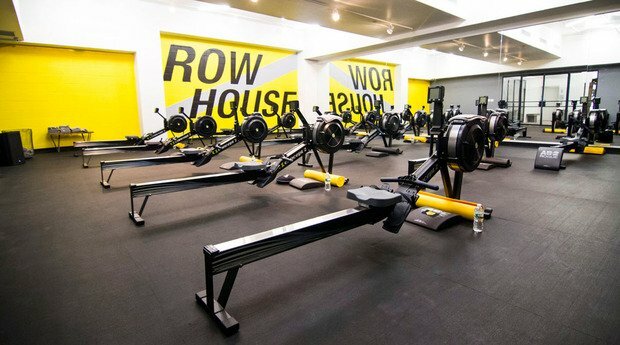 Crew rowing techniques are used indoors at Row House NYC, where workouts combine intervals on individual rowing machines with squats, crunches and other exercises to create a high-intensity, low-impact workout. The drop-in Hamilton Row class gets you pumping and pulling to the Hamilton soundtrack. Hamilton himself had to use a row boat to leave Manhattan for the the dueling grounds in Weehawken, NJ, across the Hudson River. He died there after his duel with Aaron Burr. We hope you feel enlivened after your Hamilton Row, which combines cardio and strength training! Check their schedule for other upcoming classes. *originally scheduled for 7:15 pm. Now’s a good time to plan your next trip. Hamilton will open September 27, 2016 at the PrivateBank Theatre in Chicago. In California, the musical will open in March 2017 at San Francisco’s SHN Orpheum Theatre. Keep up with local San Francisco Hamilton events by following the Facebook community page Hamiltunes SF. The national tour will run in Los Angeles from August 11 to December 30, 2017, at the Hollywood Pantages Theatre. You can still try to buy tickets to the show on Broadway and also try your luck for $10 front row tickets in the official digital lottery.